The name that immediately comes to our mind for an early American president after George Washington is that of Thomas Jefferson, the 3rd President of the United States. This is a short biography of Thomas Jefferson from Hourly History. Jefferson is from Virginia and was part of the elite of the society. His family owned plantations and several slaves and he himself owned several slaves during his later years. However, he also pursued a career in law and has several times, argued for the freedom of certain runaway slaves. The book then goes on to his disagreements with President John Adams whilst he was vice-president, then on to his own Presidency, where he organised the Louisiana Purchase and enacted certain controversial Acts removing the natives from the area. The book then focused on his post retirement career of an academic, establishing the University of Virginia. 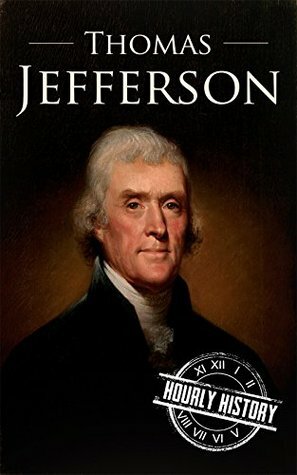 It was a well-structured biography – from the times Jefferson was a patriot to the cause, then his stint as an Ambassador in Paris, followed by his entry into politics, presidency and finally retirement with each given an individual chapter. The various disagreements he had with his political masters, his paradoxical personality (refer the above slave example) – was brought out very well. There was also a decent focus on his personal life without going too much into it. However, the book also excessively referred to aspects of US history surrounding the independence even in places where Jefferson was not involved and need not even have been mentioned. Without it, perhaps the book could have focused on some of the finer aspects of Jefferson’s presidency without compromising on the ability of the book to be read within an hour. Based on the structure and the depth of the overview that the book gave, I would award the book a rating of seven on ten.